Thanksgiving may have derailed your diet, but don't let that be the start of a diet downfall. 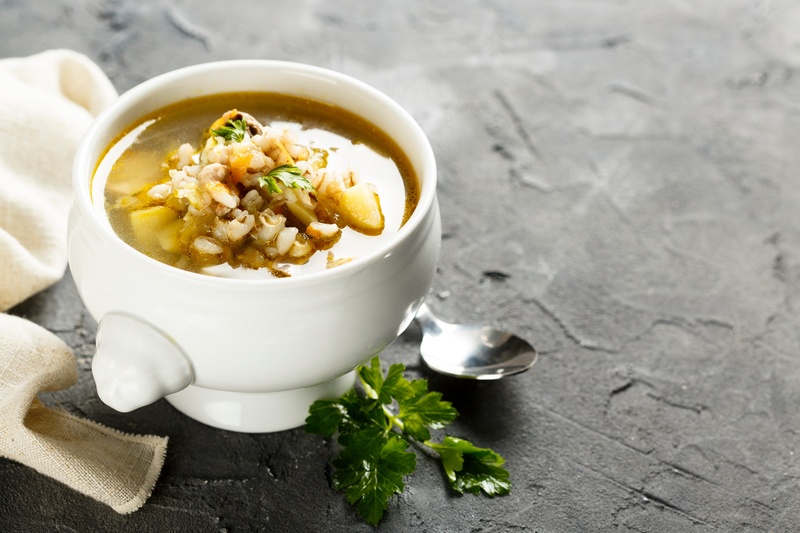 Turn your turkey leftovers into a healthy (and diabetes-friendly soup) with this recipe. Add the olive oil to a soup pot (Dutch oven or stock pot) over medium-high heat. Sauté the onion, carrots, celery and mushrooms for 8 to 10 minutes, or until the onions start to turn clear. Add the barley, broth and water. Bring to a boil, then reduce heat and simmer for 15 minutes. Add the turkey. Season with salt and pepper. Cook until turkey is heated, then serve. Terry Lumber is a Diabetes Clinical Nurse Specialist with 30 years’ experience working with people with diabetes. She is a graduate of the University of Virginia School of Nursing and received her Master’s Degree from George Mason University in Fairfax, VA. Terry is Board Certified in Advanced Diabetes Management and is also a Certified Diabetes Educator. She was awarded Fellowship in the American Association of Diabetes Educators in 2012, one of 64 individuals who have received this honor. She is a member of the American Association of Diabetes Educators and he American Diabetes Association and has held numerous volunteer leadership positions with both organizations. She loves helping people with diabetes and helping people successfully self-manage this chronic condition.